I feel as though my simplification of a Calzone as being nought but a folded pizza somewhat does it an injustice. Besides differing in filling (being far less sauce based and more of a creamy cheese affair), the very act of folding rather changes the experience in some noticeable ways. The cheese/toppings do not crisp or begin to brown – instead, the sealed heat pocket fills with warm liquid and eventually steam, so that the fillings soften and meld together in a far gentler way. Why the semolina? Semolina flour is fantastic at producing Gluten (sorry, Buzzfeed generation), which results in a gorgeously springy dough that crisps on the outside while remaining chewy inside. 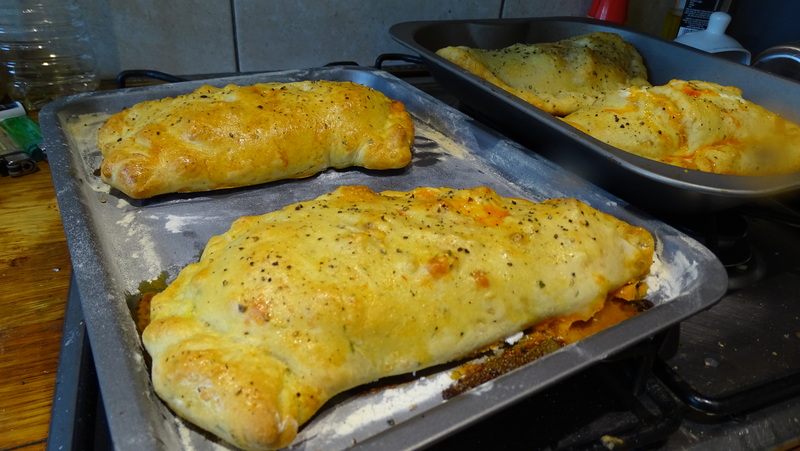 I think this helps profoundly when making a calzone, with the slight crispiness adding a nice texture profile without becoming a hard, pasty-like shell. I suppose this is less of a straight up recipe and more of a half-recipe, half-technique video. First I’ll detail the process of making the dough, then the fillings I used and enjoyed. Of course, you could fill these with just about anything, although I do recommend roughly the balance of cheese I went for to get the full flavour experience on offer here! Spicy sausage – I used chorizo as it was readily available, but any italian/spanish sausage will do. 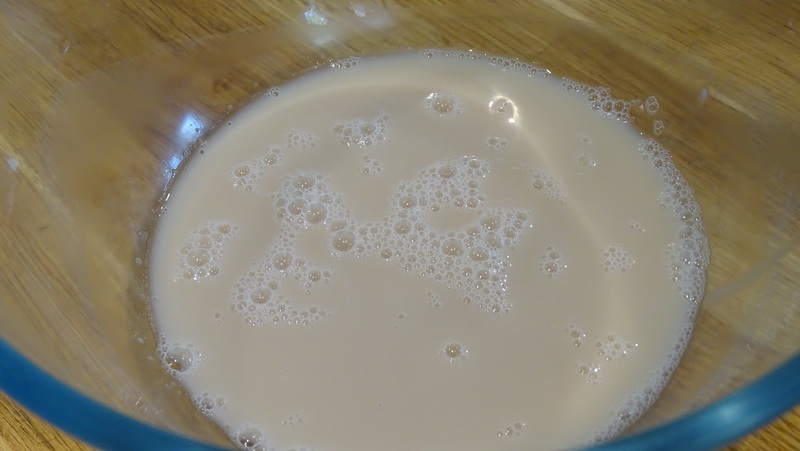 Add your yeast to a little lukewarm water and dissolve. Allow to activate for a few minutes – the top should begin to get foamy as you smell that unmistakable bread scent. Add the rest of your dry ingredients and mix well. Pour in your oil and around 2/3 warm water. Begin to mix this, really getting in with your hands. It should still be fairy dry and crumbly. Gradually add the rest of your water until you have a dough that is soft and easy to handle but which does not stick to your hand. 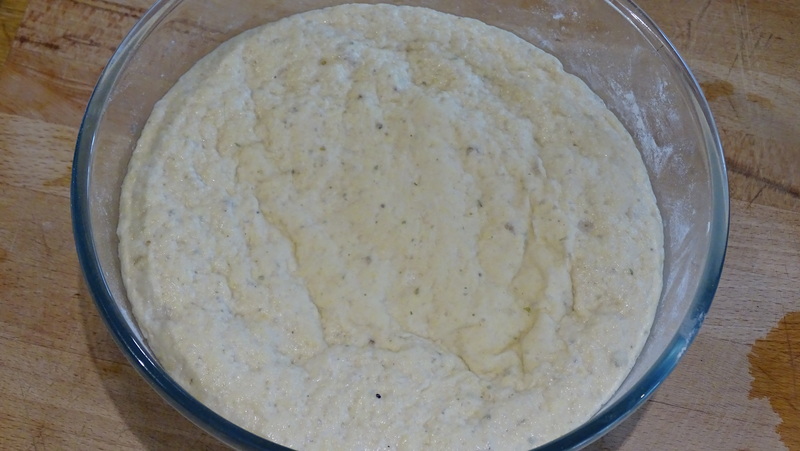 The dough pictured below is still a little dry! Flour a surface lightly and knead by hand for 5-10 minutes, until even springier. 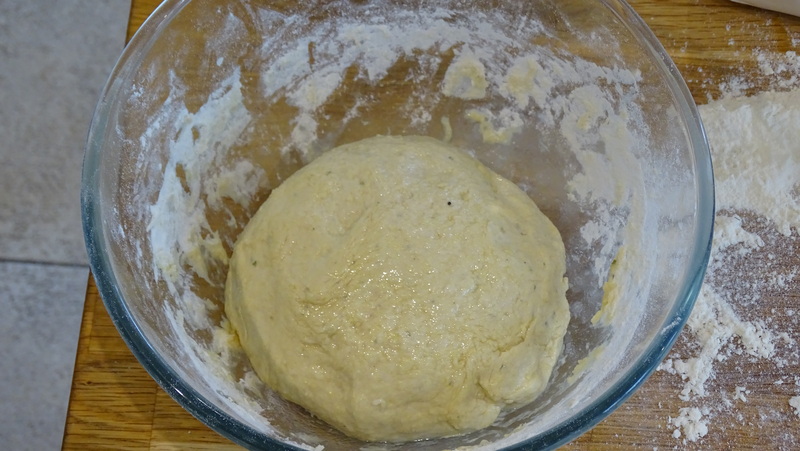 Form the dough into a ball, rub with a little oil and put it back in the bowl. Allow to proof in a cool dark place, covered with a damp cloth/towel, for about an hour, when it should have doubled in size. Roll your dough back into a neat ball and split into four equal smaller pieces. To shape these, you can use a rolling pin, but I recommend this technique myself, as it maintains the springiness of the dough better. Add you add the fillings there are a few things to consider. Leave around an inch around the edge – this will be important for sealing the dough so the fillings don’t leak out as you bake. Also, don’t begin your fillings exactly at the halfway mark, or you will struggle to stretch the other half over the top without it breaking. And finally, consider how wet your ingredients will get as they cook. Something like fresh tomato will let out a lot of moisture, and if that is on the bottom, the bottom of the dough will be soggier. 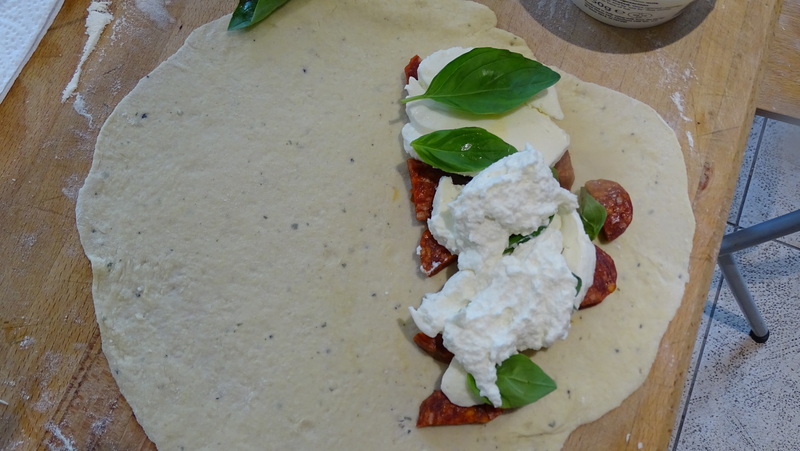 I went for – sausage/mozarella/basil/ricotta/bacon. I think surrounding the cheese is a good idea, as the cheese will begin to spread out and fill those gaps. 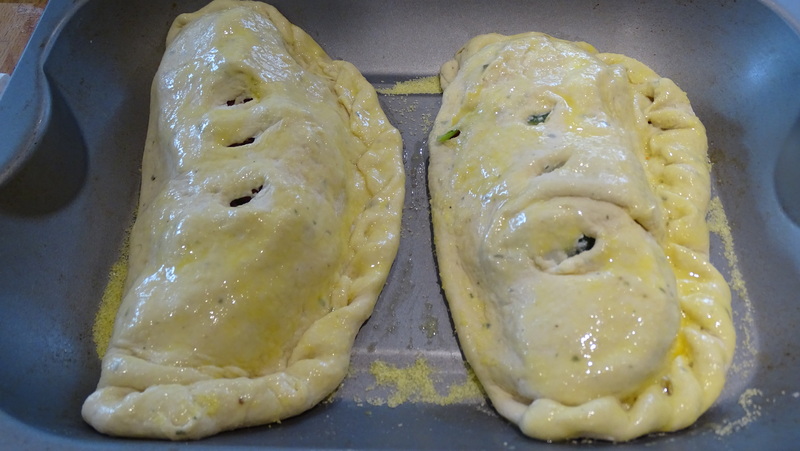 Fold over the dough , then fold and crimp the edges to seal. This can be a little messy, the main thing is that it all folds together nicely. Brush with a beaten egg or oil, and make a few steam holes in the top. Transfer to a baking tray lightly covered with semolina to stop it sticking. As you lift the calzone from your surface to the tray be swift and sure. 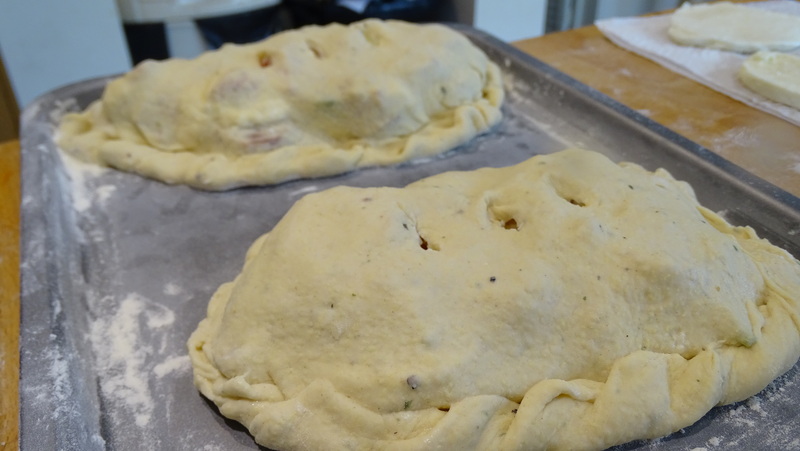 Scoop with both hands and don’t apply too much pressure, or the calzone will fall apart. I wouldn’t lift too high either, keep it an inch off the surface at most to prevent total calzone destruction. Bake for around 15 minutes at 180C, until nicely browned and the insides are piping hot. Serve with a little spicy tomato dip and a fresh side salad. You can’t really go wrong with this one, it’s a true crowd pleaser! 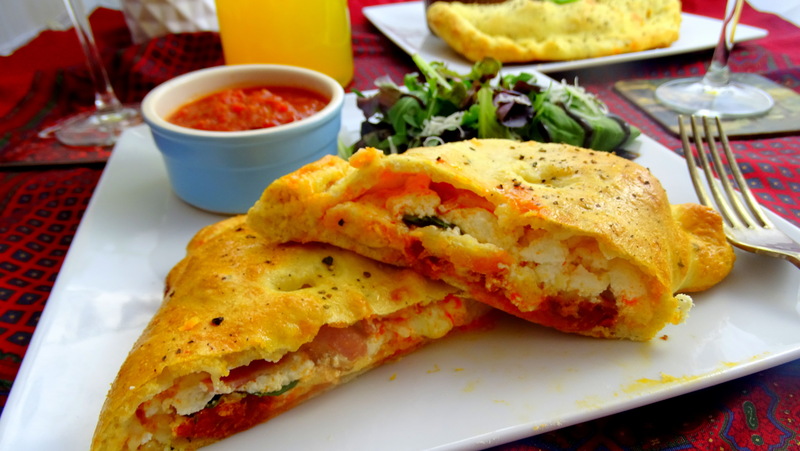 Posted in Guesscipes, Mains, Pork, Tips and Techniques, VegetarianTagged bake, basil, calzone, cheese, dough, flour, food, italian, mozarella, pepperoni, pizza, ricotta, semolina, yeastBookmark the permalink.